Here is a festive page that you can copy, paste, and use at the Thanksgiving table. 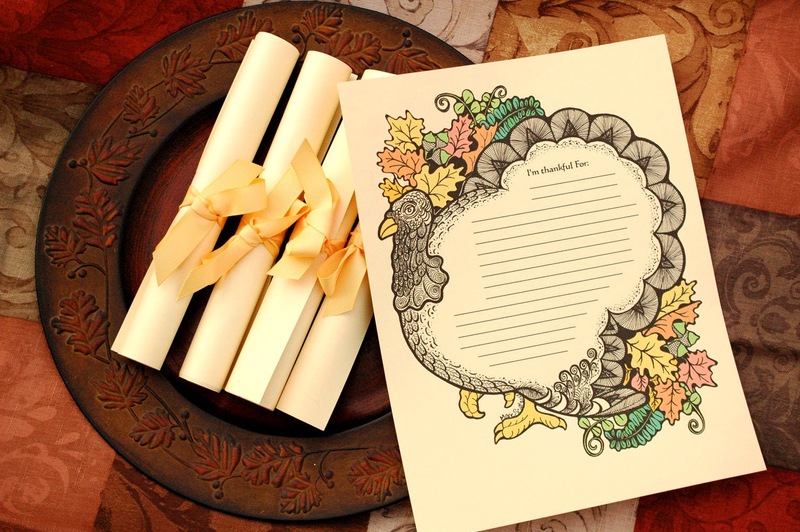 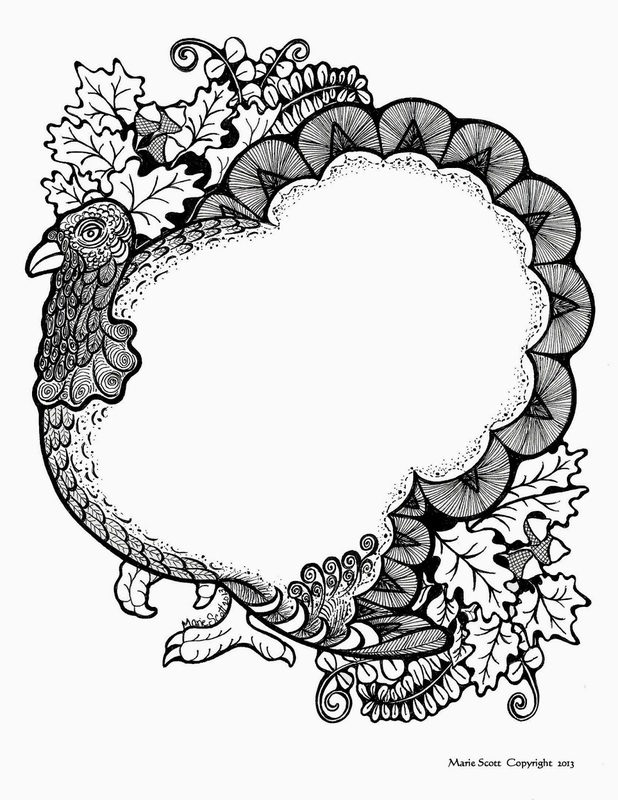 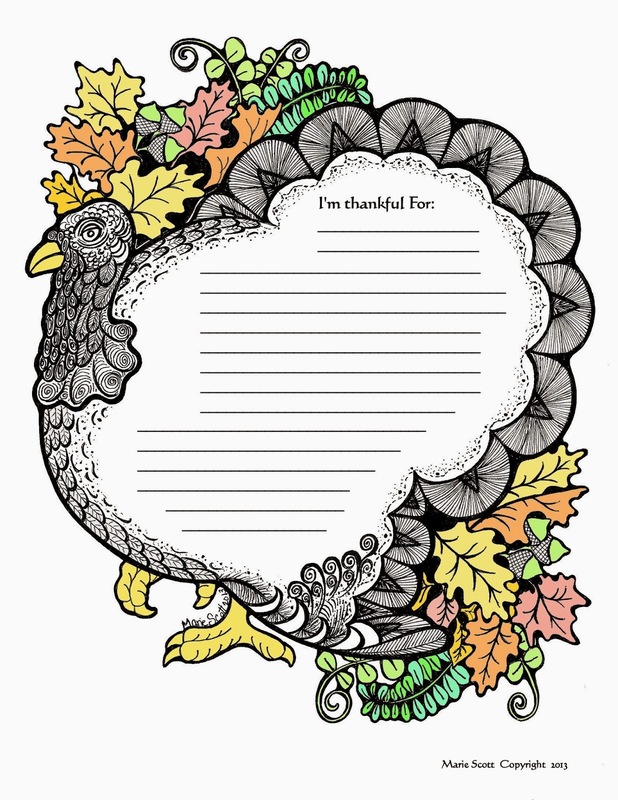 It is a fancy turkey with spaces to list the things you’re thankful for. 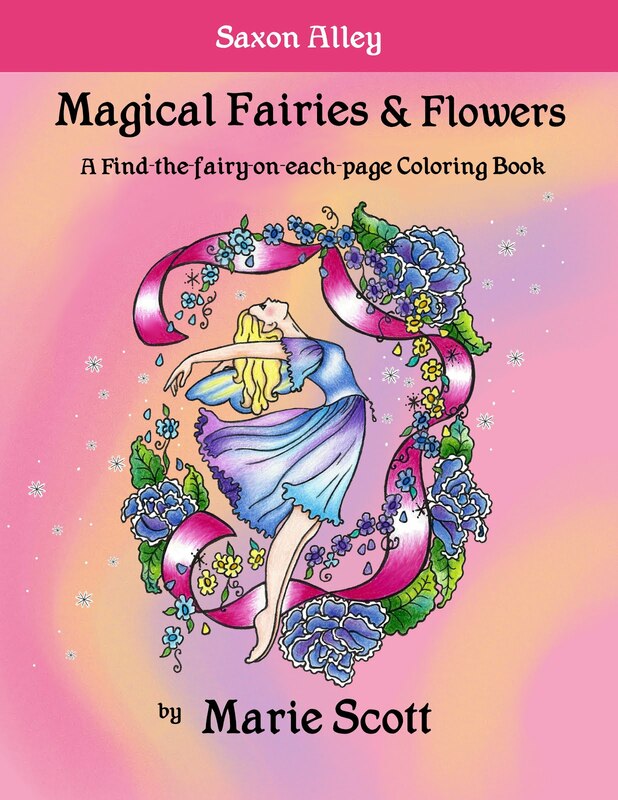 You can copy the black and white version, or the colored version, as you wish.